What’s Behind Spotify’s Copyright Royalty Board Appeal? Image by Mohamed Hassan via Pixabay. CC0/Public domain license. But the debate here is an important one — not only because of the amount of money involved, but because it illustrates a lot about how the music industry and streaming businesses work (or don’t). While we won’t know the specific legal arguments until the first round of briefs are filed on Friday, we can get a sense from the CRB’s decision (and the opinion of one dissenting judge) for what some of the high-level points will be. The CRB has the ability to set prices only in very specific circumstances. The license at the heart of the current dispute apply to what the law calls a “musical work.” If that seems a little vague, think of it this way; a musical work is what you get when you print a song out in sheet music. It is the composition underlying a performance. By contrast, the law calls the recording of a performance — the work of a singer, band, or other recording artist — the “sound recording.” Musical works (written versions) and sound recordings (recorded versions) are two separate things under copyright law, even if they often show up in pairs. What kinds of licenses do services need to stream music, and how does the CRB fit in? If you don’t know what to make of these categories, don’t sweat it for now. We’ll explain each of them as we go. First, though, a primer on music licenses. There are two copyrights in every recorded song—one in the actual recorded track (called the “sound recording”) and one in the underlying composition (called the “musical work”). Each of these copyrights is a bundle of smaller sub-rights that are held by different people, companies, or entities. These sub-rights cover different uses of the track or composition, so what license you might need (and who you need to pay) varies depending on what you plan to do with the song. Back to music. If you’re an interactive streaming music service, you (generally) need, all four of these licenses are needed to stream a single track. (Because copyright is delightful, there’s a slightly different set of rules for non-interactive services. Also terrestrial radio. And legacy/pre-1998 subscription services. Yay!) 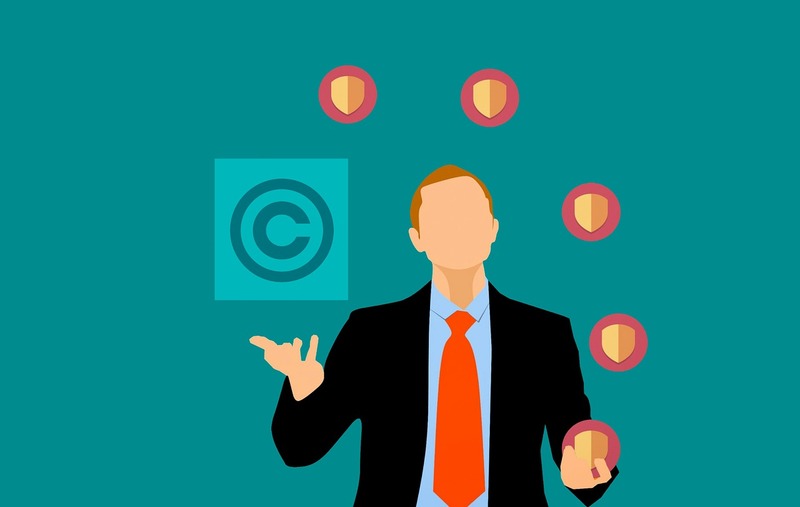 But as far as you need to know or care, for the purposes of this blog post — if any one of these licenses is missing, the relevant track must disappear from the license-less service, or that service risks liability for copyright infringement. Now, see that column of who gets paid? Thanks to our inelegant, not-at-all-intuitive copyright law, each and every one of those entities has a (potentially) very valuable, separate good. And, like any rational economic actor, those entities wants to maximize the amount of money they can extract from the streaming service. Streaming services, by contrast, want to pay the lowest possible price for those goods. But the fact that each license price is set differently means that things get very complicated, very quickly. So, if you’re a service, you’re negotiating for four different products, in three separate forums, against at least two different entities, against the backdrop of three different procedures — and none of these entities or procedures have to acknowledge any of the others. Because each of the license-holders is competing for the same pot of money (the streamer’s revenues), they are, in a way, competing against each other, but they don’t have to (and can’t, under antitrust law) coordinate directly with each other to do so. This means that fights over streaming services licenses occasionally end up being a proxy for fights between different rights holders over how revenue is split. Now, the important thing here is that Streamy — and its numbers — are fictional. The music and streaming industries are notoriously secretive about their financials, and so we legitimately don’t know how much money is changing hands and where. I’ve noted where the numbers have some basis in reality, but for the most part, these are numbers I picked for the sake of easy math. Unglaze your eyes, because this is the important takeaway: A jump in record company rates to 70 percent would not only drag up the mechanical rates with it, it would drive the total cost of content to a point where it consumes over ninety percent of Streamy’s revenue — 70 percent to record companies, and 21 percent in the all-in mechanical rate. That leaves less than 9 percent of Streamy’s revenue to pay for everything we mentioned above. Critically, 21 percent of revenue is well above what the rate would be (12.3 percent) if the service was allowed to calculate using its “percentage of revenue” method. Conversely — and perhaps counterintuitively — this puts publishers and songwriters at risk, too. If a label and service merge (or buy one another out, or even share major equity stakes), the record company may engage in “sweetheart” pricing — namely, lowering the licensing rate for its affiliated streaming service. This would drive down the total cost of content, and the mechanical rates as a result. Right now, we don’t know exactly what Spotify will argue, and who, if anyone, will join them in the appeal — though it seems likely that most of the licensees will. Spotify notified the DC Circuit Court of Appeals that they would be appealing “all underlying orders, judgments, rulings, findings, and determinations” reached by the Board, but didn’t put forward any arguments. (This is standard for administrative appeals, and you shouldn’t read anything into it.) Spotify’s formal arguments won’t be public until their opening brief is due on April 12. Until then, we can only go off of PR campaigns and public statements that don’t neatly translate to legal arguments. There are a few important things to take away from this mess. The first is that what seems like a really simple act to the end user — streaming a song — is, thanks to our Byzantine copyright law, an insanely complicated proposition, with an incredible number of entities who have the legal right to stop it, get paid for it, or both. Relatedly, you may have noticed that this post — all 3,000+ words of it — doesn’t really talk about artists. That’s because they’re often absent from these negotiations, tucked behind layers upon layers of private companies, publishers, negotiating bodies, and other entities — all of whom take a slice off the top of the royalties before they reach the artist.